What are some of the challenges your company faces in securing funding? Relying on traditional VCs can prove challenging- what other sources of funding are available? 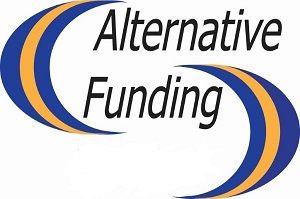 Join us Tuesday, July 16th, at 10am PST for a FREE webinar, “Looking Beyond VCs: Alternative Funding Routes for Early-Stage Life Science Companies.” This webinar will explore creative strategies for getting the financing you need to bring your innovative biotech idea or early-stage product to market. Dr. Don Stewart is the President and CEO of PlantForm Corporation, an award-winning Canadian biopharmaceutical company currently raising Series A financing to bring the first of several cancer drugs to market. An entrepreneur and a scientist, Dr. Stewart worked for 20 years in drug development with Cangene Corporation, which grew from a venture-financed start-up to become Canada’s largest biotechnology company. He is also President and CEO of the consulting firm Alba Biologics Group. This educational event is hosted by AppFolio SecureDocs, provider of a secure virtual data room for storing and sharing financial documents.